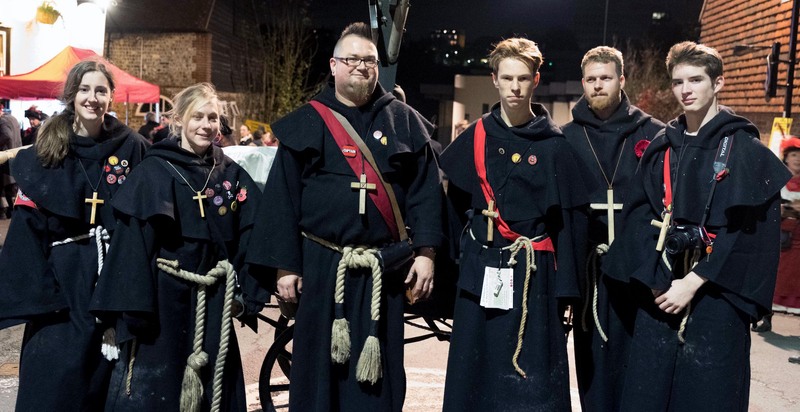 Our first pioneers wear the black robes of Cluniac monks who lived in the Priory of St Pancras in Lewes. Being a Southover monk means you lead our marches and have a nice warm outfit including a hood should it rain. The recommended material for the robes is flameproofed wool serge in black. Please contact our Captain of Promotionals Cathy Baker for help. Our monks also enjoy adding some accessories such as leather belts, tankards and some have even been known to go a bit further! You’ll have to wait and see.